do you happen to know how to do vice versa? link my blogger to my twitter? i wanna get my tweeps access to my podcast. Why didn’t I think of this? 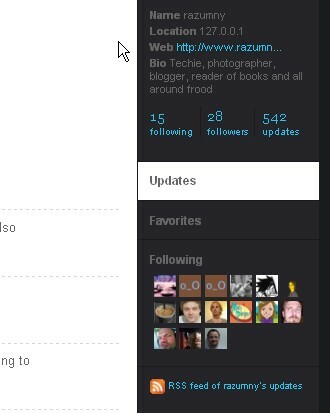 lol I’ve been trying all sorts of Twitter gadgets and never thought to just use the RSS feed. Fail! @Gil: I have found out, and have already scheduled a post to tackle that very subject.